Illness changes things. It changes how we live. What we care about. Who we make time for. 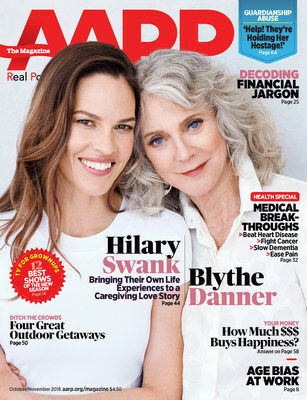 For Hilary Swank, who moved her father into her Los Angeles home three years ago as he underwent a risky lung transplant, it also changed how she dated. Familial devotion is at the heart of Swank’s latest film, “What They Had,” one of the first roles she took after caring for her father. In the multi-generational drama, Swank plays Bridget, a long-distance daughter coping with her mother’s descent into Alzheimer’s. Her father (Robert Forster) argues he can care for his wife (Blythe Danner) better than the Chicago memory-care facility that his son (Michael Shannon), who lives nearby, is advocating. It’s Christmas, and no one has the answers. 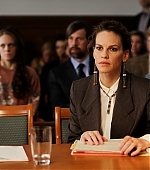 Hilary Swank isn’t messing around when it comes to her voting rights. At the L.A. premiere of her new film, What They Had, the actress called on women to force political change by participating in the upcoming midterm elections on Nov. 6. While helping to nurse her ailing father back to health, actress Hilary Swank made the decision to fill the long hours she was at the hospital by researching how to start a fashion brand. AARP today announced a collaboration with Bleecker Street on the release of “What They Had,” the upcoming film starring Academy Award and Golden Globe-winning actress Hilary Swank, EMMY and Tony Award winning actress Blythe Danner, with Michael Shannon, Robert Forster and Taissa Farmiga.